MEDICAL COSTS SINCE NOVEMBER 2013: $414.06 PLEASE CONSIDER MAKING A DONATION! 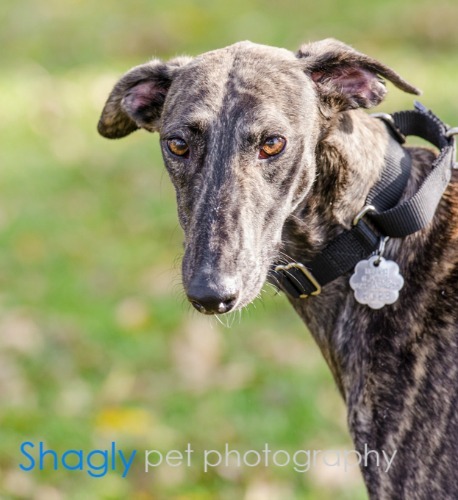 Claudia is a 16-month-old dark brindle female. She and Clarice joined the GALT family after their owner in Oklahoma decided they would not be good rabbit-chasing dogs. 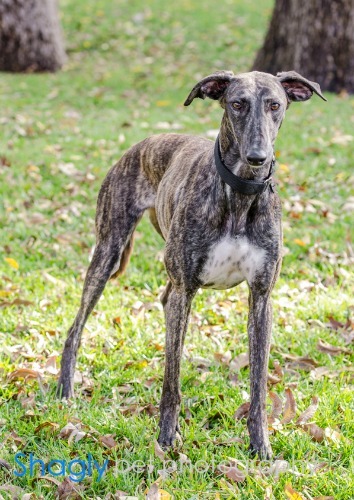 Claudia has tested positive to Ehrlichia and will begin treatment as soon as a foster home can be found. Claudia is living with cats in her foster home. Claudia has completed the treatment course for her Ehrlichia. She was retested, and her PCR test results were all negative. She will complete her medical procedures soon. Claudia has finished her medical procedures and is ready to find her forever home! Come meet this petite cutie-pie! You will love this adorable petite girl. Miss Claudia is very quiet and will let you spend all day hugging and cuddling with her. Claudia walks well on a leash and sits beautifully - she is quite food motivated. She is also my little sun worshiper. She has a spot in my house that has sun for many hours of the day. That is where my little couch potato is on sunny days. Claudia is great with the cats. She will try to engage them in play but they just aren't having any part of that. She is very happy with toys – fluffy, squeaky ones.